If a picture is worth a thousand words, why are we so inarticulate when information and ideas are expressed in images? In the age of media, we need to read the language of human expression in all its forms. 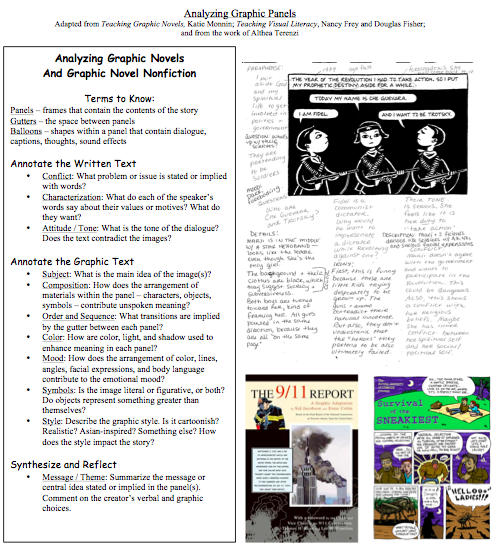 With conscious irony, we have crafted two "bookmarks" with information to guide students in their reading and analysis of literary, informational, rhetorical, and technical graphics. 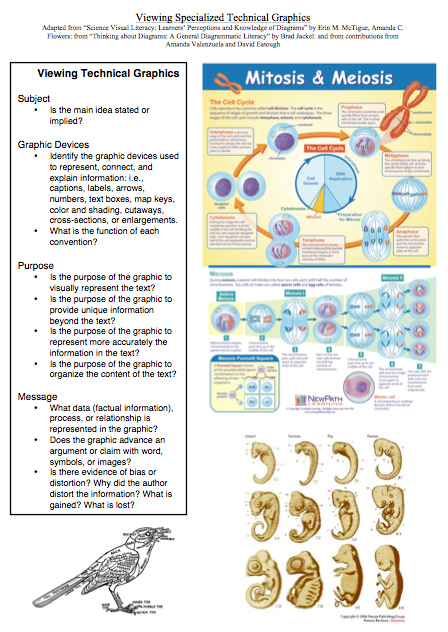 Click here for a user-friendly handout of Analyzing Graphic Panels and Viewing Specialized Technical Graphics.